We're at the halfway mark. Only 6 more giveaways to go! Here's the cute painting up for grabs in today's giveaway. You only have to click a button, which you'll see when you enter. You can enter once a day, everyday, until the closing date - Tuesday, Dec. 27th. 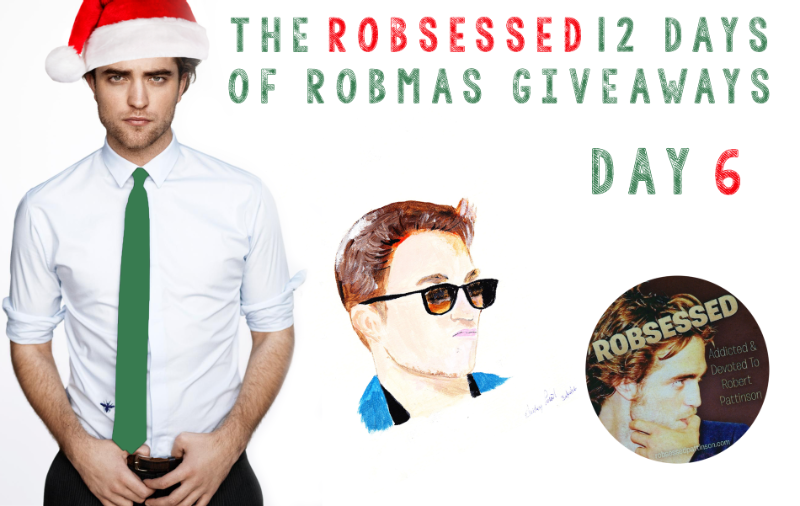 There will be 1 winner receiving a Robert Pattinson Painting By Audrey & a Robsessed Fridge Magnet.